IF YOU WERE one of the people who shelled out $300 for Revolv’s smart home hub, you’ve probably already heard the bad news: the web service that powers the little gadget is shutting down next month, which will render the thing effectively useless. 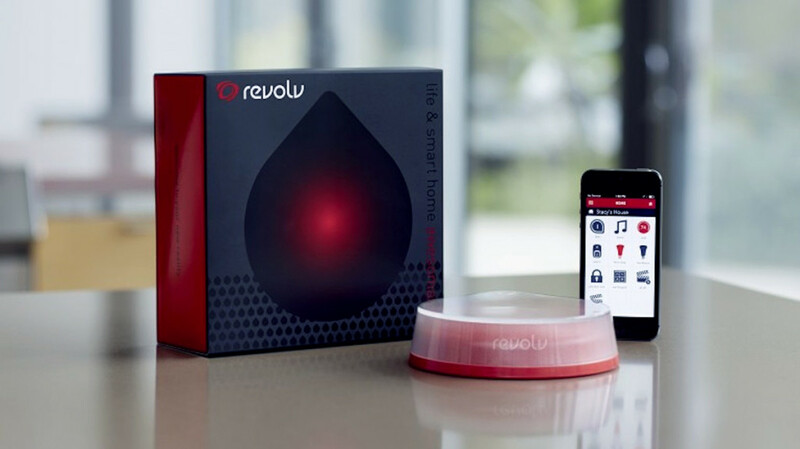 Revolv was a smart home startup that was acquired by Google’s home automation company Nest in October 2014 (Nest is now, like Google, a part of the Alphabet conglomerate). The company sold a hub for controlling a wide range of different gadgets, from lights to coffee pots, via a single smartphone app. The catch is that the hub depends on a cloud-based service to communicate with your smartphone. Once that cloud service shuts down, you won’t be able to use the app to control anything. A Nest spokesperson says the company stopped selling the Revolv hub after the acquisition in 2014 and notified customers in February that the cloud service would be shutting down. But the news only drew attention this week when entrepreneur Arlo Gilbertlambasted Nest over the impending demise of the Revolv hub. This isn’t the end of the world. If you could afford to buy a $300 hub for all your smart home gadgets, you can probably afford to replace it with something else. And even if you can’t, smart home gadgets rank pretty low on Maslow’s hierarchy of needs. The real problem is Nest’s decision sends a pretty clear signal that you just can’t rely on “Internet of Things” things. That’s a real shame because the Internet of Things is poised to help us save electricity and water, improve our health, and make our homes and cars safer. But few people are going to shell out hundreds of dollars to buy products that might simply stop working after just 18 months. Consumers are already losing interest in the idea of the Internet of Things,according to one report, and Nest’s shortsighted decision to pull the plug on the Revolv hub won’t inspire confidence in other products. Asked whether we can expect a similar lifespan from other Nest products, such as its Nest protect smoke detectors, Dropcam cameras, and its flagship thermostats, a company spokesperson pointed out even its oldest thermostats from 2011 still receive software updates. That’s a cold comfort for Revolv customers who bought a device in September of 2014. The problem is that it’s hard to know which ones will still work and which ones won’t. Today Nest is committed to keeping its products working, but tomorrow it might decide the money it spends on the cloud service that supports its Protect line would be better spend elsewhere. Suddenly your $100 smoke detectors would be no more useful than the perfectly good $10 ones you threw out. And we’ve already seen how dependent these types of devices are on the cloud. Last year a Nest outage roused the company’s customers from the warmth of their beds and sent them stumbling into the frigid night to reset their thermostats manually. Meanwhile, a software glitch turned Wink’s smart home gadgets into electronic bricks. Wink’s parent company Quirky filed for bankruptcy later that year. Fortunately it found a buyer for the Wink product line, a deal that will keep those gadgets functioning for now. But when a handshake is all that stands between your device and its final demise, you start to see just how precarious the Internet of Things really is. That’s a real concern at Nest right now, as reports swirl that the company is underperforming and could lose key employees once their stock options vest. The solution is fairly simple: make it possible for the devices to work independently of their cloud services over WiFi or Bluetooth. We can understand that certain features just won’t work without the Internet, like some of the heavy data-crunching that a device like the Nest thermostat uses in order to make predictions about when to turn the heat up or down. But it’s absurd that you can’t use your phone to control a device like the Revolv hub without an Internet connection, even if the thing is sitting 10 feet away from you. The problem is that giving these gadgets more autonomy could make it harder for companies to get people to pay monthly fees that turn devices into ongoing revenue streams. Still, at the very least, “smart” products should be able to work remotely in the event their cloud services go away entirely. Sure we live in the age of disposable technology. We buy new phones and laptops every two or three years. But we generally expect our old gadgets to still be useful as hand-me-downs or backup devices. We don’t expect to have tosend them off to landfills just because the company we bought them from decided to stop supporting them. Until that changes, the Internet of Things will remain a dream.